You may remember that back in late March, we reported that Leonardo DiCaprio was in early negotiations to star in Clint Eastwood’s biopic about the controversial former heard of the FBI, J. Edgar Hoover. It looks like those negotiations have wrapped up as Deadline reports that DiCaprio is now officially on board. The film has been on the fast track ever since producer Brian Grazer brought Dustin Lance Black’s script to Clint Eastwood in mid-February. And only Deadline could say that it’s great DiCaprio “is getting out of his Marty Scorsese rut,” as if working with the legendary director is such an awful fate that’s really brought down the actor’s career. Hit the jump for other projects that DiCaprio’s been circling and to learn more about Hoover. No word on how many of these projects are still active or if DiCaprio’s still attached, but they should give you an indication that the dude has a wide variety of flicks to choose from. 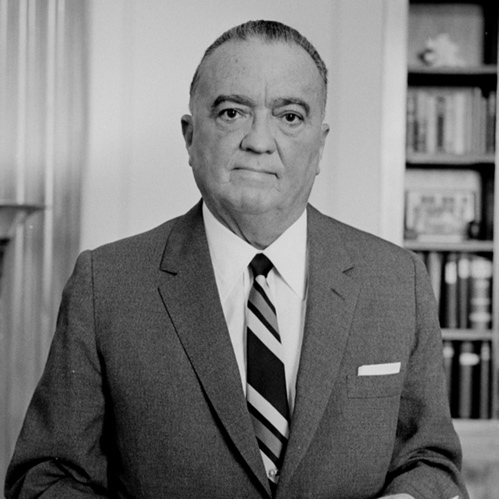 J. Edgar Hoover was the first director of the FBI, which he helped form in the 1930s as a way for the U.S. Government to have some authority to go after criminals who traveled across state lines such as John Dillinger and Pretty Boy Floyd. Some of those exploits, including a little of Hoover’s role, can be found in the film Public Enemies among others. However, the ridiculously dense, brilliant and engrossing book on which that film was made has so many more details, I’m confident this new version will have great potential. For example, Hoover was a perfectionist who hated many of the agents portrayed in Mann’s film.